Sunday, July 8 from 12:45 p.m. until 5:00 p.m. 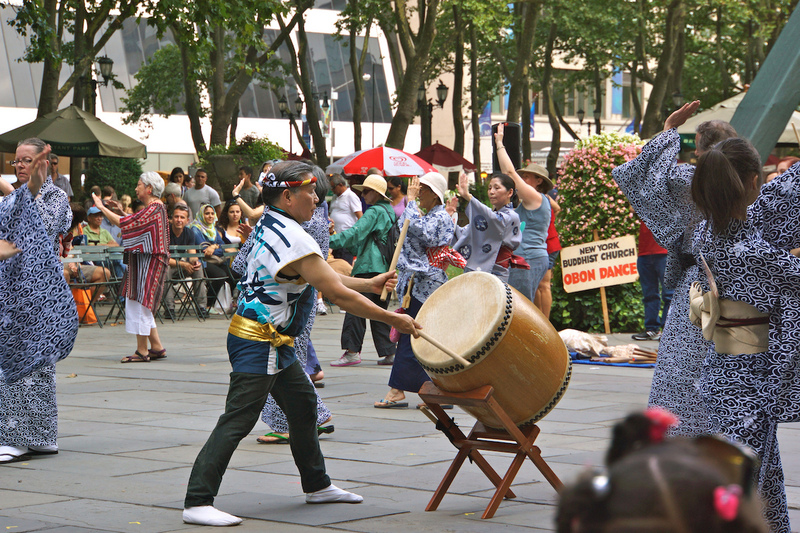 The New York Buddhist Church presents the 69th annual Obon Dance Festival at Bryant Park. 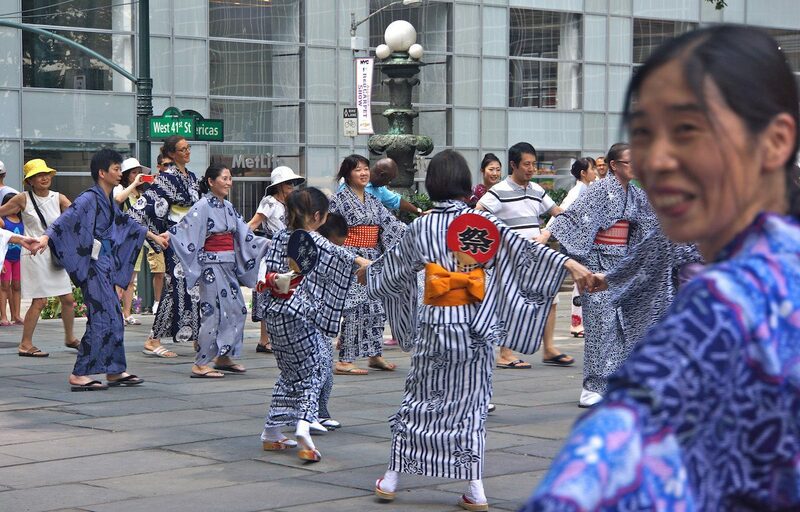 Honor your ancestors through dance with NYBC members and performances by taiko drumming sensation Soh Daiko and the Tachibana Dance Group. In this Buddhist observance, the Japanese welcome the souls of their ancestors back home. The legend involves Mokuren, a disciple of Buddha, who was worried that his deceased mother was suffering among hungry ghosts. Buddha advised him to present an offering of food to the monks upon their return from a summer retreat on the 15th day of the seventh month of the lunar calendar. Mokuren did so, his mother’s spirit was freed, and Mokuren danced with joy. As a result, it is customary to leave food out for one’s ancestors and to participate in the Bon Odori, or folk dance. For more information, please visit NYBC’s website.